Mold Solutions NW provides a peace of mind for you and your family in knowing that your home is free of mold now, and for years to come. Long-term exposure to mold possesses potentially dangerous health consequences to you and your family’s health. In some cases, it may not be obvious where the mold is coming from, and it may be affecting you and your family without you even realizing it. Mold can grow virtually anywhere on your home and can remain undetected for years. The mold remediation service offered at Mold Solutions NW comes with our guarantee that the danger of mold is completely neutralized in your home. Call Mold Solutions NW at 425-888-3332 now to speak with one of our knowledgeable and experienced professionals to schedule a free mold remediation inspection for your residential property. We will help to determine your needs and talk with you about our effective, cost-efficient, guaranteed solutions. Mold Solutions NW utilizes a standardized process for residential property mold remediation services which begins with our experienced professionals performing a free mold inspection of every facet of the home to determine the problematic areas. We then contain the contaminated area with specialized plastic sheeting and HEPA air scrubbers to prevent further air contamination. Once the mold is properly contained, we apply our specialized MMR product to eradicate mildew and mold stains. We then remove any materials or items that were infected or damaged by the mold and perform a thorough cleaning of the jobsite, using HEPA vacuums to collect minor particles that are not easily seen. Once this cleanup has been performed, our trained technicians treat the area with our very own antimicrobial preventative. Upon completion of the application of the antimicrobial, Mold Solutions will perform a final inspection to see that it was properly applied to the problem area. This process is a tried and true method that has proven effective since 2007. Mold Solutions NW ensures that we can treat any mold issue, or even prevent it from happening in the first place from the beginning of your home’s construction. Because we guarantee that our product will last for an incredibly long time, we offer a 10-year warranty for our product. Our products are highly affordable, yet highly effective and environmentally friendly. 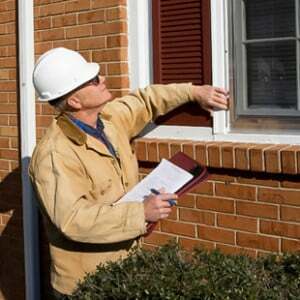 If you know of or suspect a mold problem in your home, you cannot afford to wait. Call Mold Solutions NW today at 425-888-3332 to get started with your free mold remediation inspection for your residential property or to start a mold remediation project for your home.